The fall is a fun time of year filled with family outings, holidays and sports games. However, in the month of October, the ultimate thrill for students is Halloween. Halloween is a great theme to draw on to get kids excited about reading. It’s a sweet time of year filled with candy, bright colours and costumes. Students can be encouraged to unleash their creativity and let their imaginations run wild. What’s Halloween without a haunted house? Travel through the rooms to be treated to hidden flaps that lift and reveal spooky surprises – 35 to be exact. This interactive board book encourages little learners to explore, imagine and have fun. Pumpkins are great to carve and display, but what about to count? Ten orange pumpkins vanish one at a time in an exciting countdown to Halloween. With the help of some bright illustrations and rhyming text, it’s a fun introduction to numbers for this time of year. This ghost story is more sweet than spooky. Bob hopes for a dog for his birthday, but instead gets a ghost named Fluffy. Not your average ghost, Fluffy has quite an appetite for mischief. The pages are filled with humour alongside the illustrations that have made Geneviève Côté famous. Warning: your little one may wish for a birthday ghost. Frankenstein is synonymous with Halloween. This picture book draws on the popularity of this monster with an environmental twist. 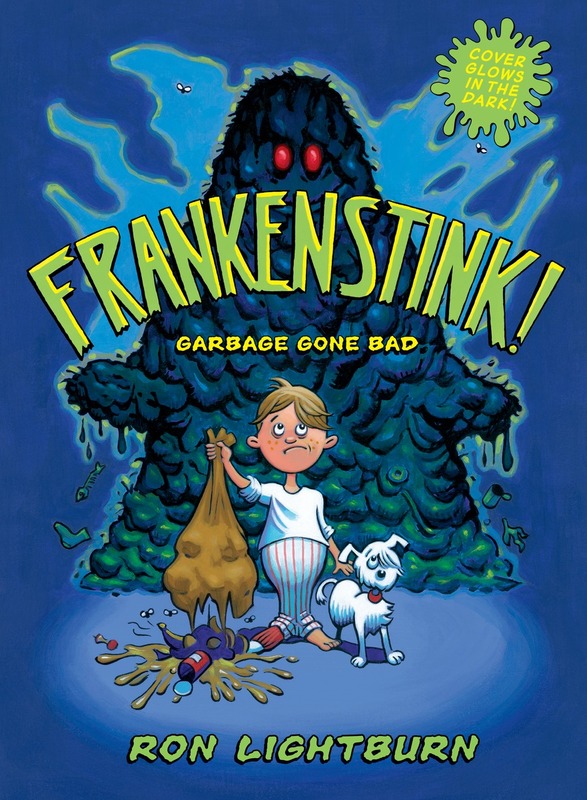 Perfect for Halloween or any time of year, this adventure follows a boy ignoring his growing garbage collection. With comic-book-style pictures, rhyming narrative and a glow-in-the-dark cover, it’s one entertaining read. Students can never be too prepared for a zombie outbreak. Zombie Elementary will do just that in this entertaining chapter book filled with humour and zombie tips. Middle school readers will accompany fifth-grader Larry on his adventure with zombies at Brooks Elementary. After all, a good zombie guidebook can come in handy for Halloween night.